Lion Air Plane Crash: The aircraft was commanded by Captain Bhavye Suneja and co-pilot Harvino with six cabin crew members. The captain had 6,000 flight hours, and his co-pilot over 5,000 flight hours, the airline said in a statement. 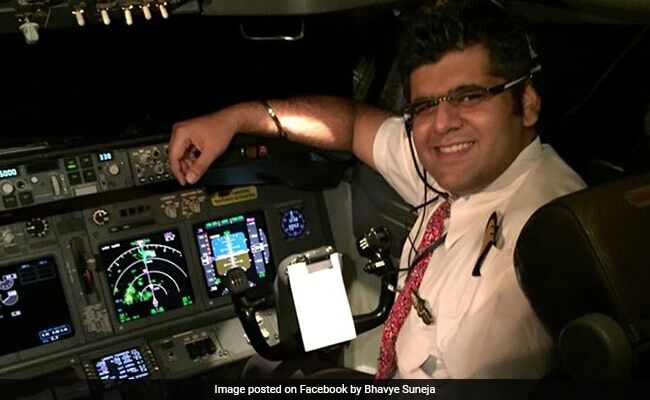 Lion Air Plane Crash: Delhi's Bhavye Suneja was working with Lion Air for the past 7 years. The pilot of an Indonesian plane that crashed into the sea minutes after taking off from Jakarta was Indian. Bhavye Suneja from Delhi had joined Indonesian carrier Lion Air seven years ago. The Indian embassy in Jakarta has confirmed 31-year-old Captain Suneja's death. "Our deepest condolences over the tragic loss of lives in the Lion Air Plane crash, off the coast of Jakarta, today. Most unfortunate that Indian pilot Bhavye Suneja, who was flying the JT610, also lost his life... The embassy is in touch with the crisis centre, and is coordinating for all assistance," it tweeted. The aircraft was commanded by Captain Suneja and co-pilot Harvino with six cabin crew members. The captain had 6,000 flight hours, and his co-pilot over 5,000 flight hours, the airline said in a statement. Captain Suneja had been living in Jakarta. He went to a school in Delhi. The Boeing 737 Max 8, carrying 189 people, sank after crashing into the sea soon after take-off. Indonesia's search and rescue agency said the ground controllers lost contact with the plane 13 minutes after take-off, and a tug boat leaving the capital's port saw it fall into the sea. Mr Suneja's LinkedIn profile mentions that he completed pilot training from Bel Air International. He had worked as a trainee pilot with another airline for a few months before joining Lion Air. He specialised in flying Boeing 737 passenger jets. Authorities in Indonesia have said they never received any emergency message from the aircraft before the crash. Muhmmad Syaugi, Indonesia's search and rescue agency chief, said items like headphones and life vests were found in water about 30 metres to 35 metres (98 to 115 ft) deep near where the plane lost contact with the air traffic controller. The top priority for investigators will be finding the cockpit voice recorder and flight data recorder to help determine the cause, a media report said, quoting safety experts. Edward Sirtait, Chief Executive of Lion Air Group, didn't comment on the likely reason for the accident. "We don't dare to say what the facts are, or are not, yet. We are also confused about the why, since it was a new plane," he told Reuters.